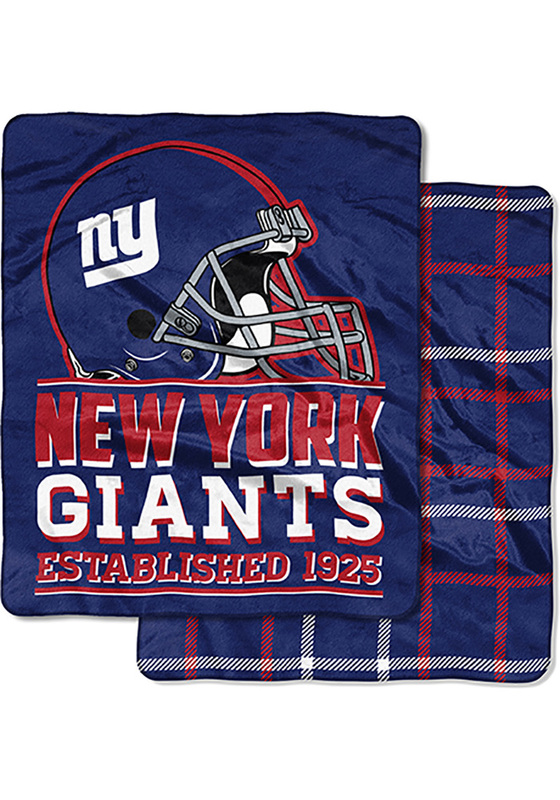 You'll love displaying this New York Giants Raschel Blanket, which features a licensed New York Giants logo. This throw is so soft and cozy, you will never want to get up from your nap! The front of this double-sided, 50”x 60” throw shows off your favorite football team’s logo, helmet, and established year. The back is a plaid print that matches your team’s colors. This Raschel Blanket will keep you warm at home or cheering on your Giants from the stands.